By Xah Lee. Date: 2016-07-16 . Last updated: 2016-08-19 .
the front window must be visually distinct from others. For example, have different color in title bar, or have colored border. 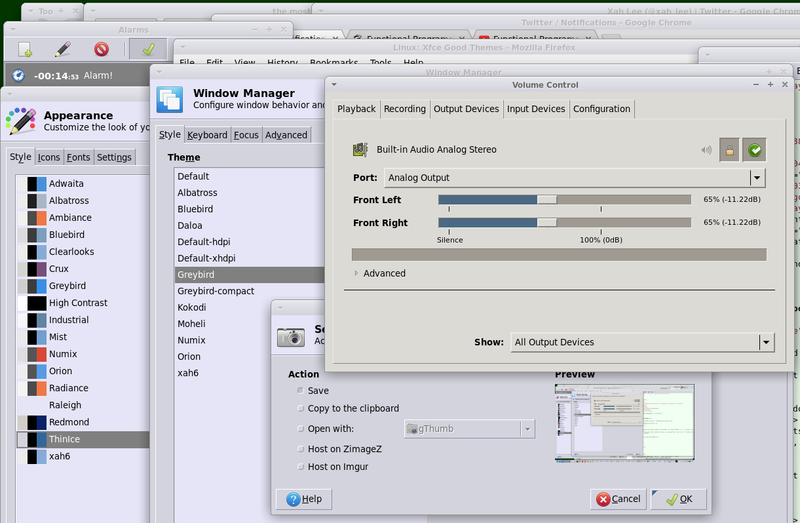 the GUI widgets must not be the original X11 gray drab slab, because that's hard to tell if a radio box is checked, or which button is default when you press enter. 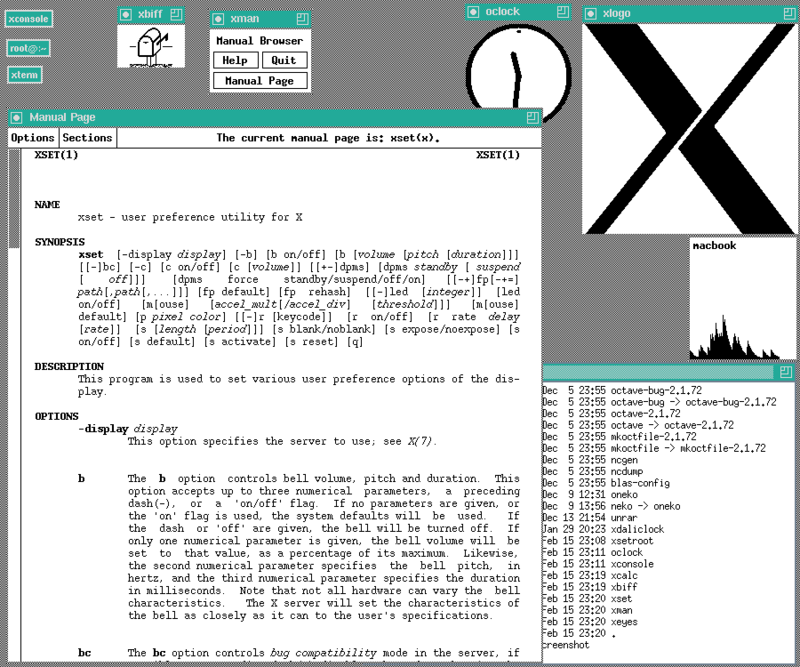 DECwindows openvms v7.3 1, running on Solaris. (Year ~1998) Note the look of the scroll bar, the window border, and buttons. Why is it that way? because it's easy, simple, computationally less intensive, to write program to draw them that way and still get a 3D effect. 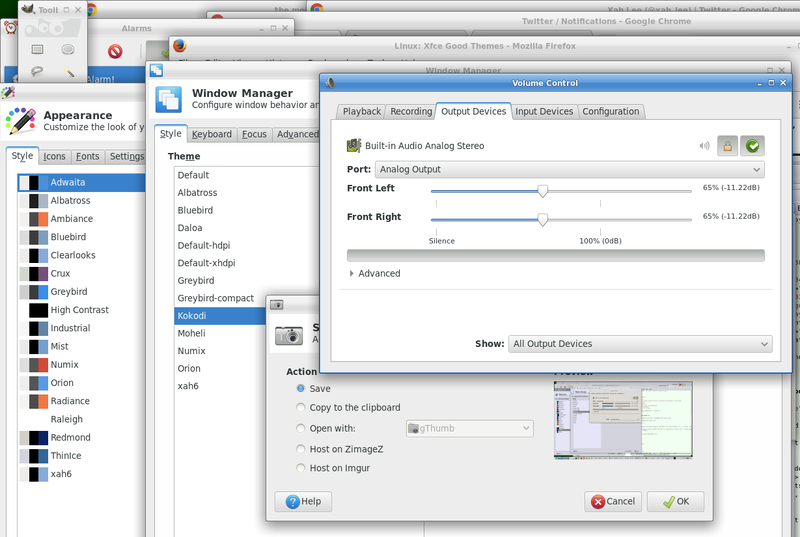 xfce window manager GTK theme. 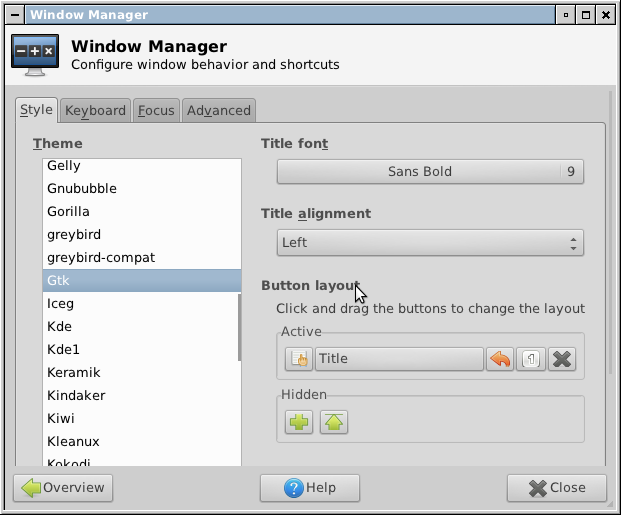 The grey slab look of Unix X11 remains in force in Linux, up till 2010.
grey drab slab style of GUI, from X11 1980s. bad GUI. Linux Xfce ThinIce Greybird 2016-07. Difficult to tell which window is in front. Difficult to tell which tab is current. Difficult to tell which is button, which is not a button. Difficult to tell button's on/off status. Good GUI. Linux Xfce Adwaita Kokodi 2016-07.